Expatriates coming from countries with strong economies would feel that the cost of living in Cyprus is relatively low. 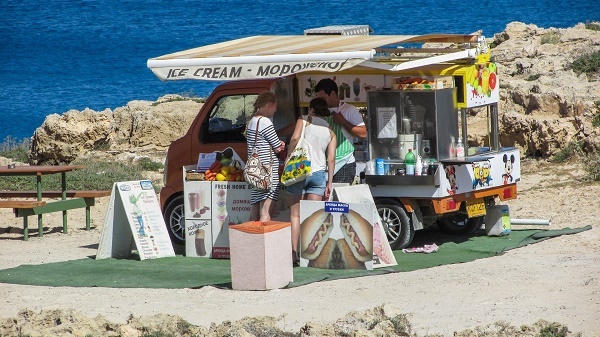 The average income of a foreigner working in Cyprus would be around 1.400 EUR, which is enough to pay for accommodation, food, transportation and entertainment. Get to know more about the cost of living in Cyprus with this guide. 1.1 million people reside in Cyprus, and most of it are expats coming from Western countries particularly British Nationals. The country currently has the third highest percentage of immigrants in the whole European Union. It has been a common trend for foreigners to buy their property in the island as they find it cheaper compared to properties in other European countries. Anyhow, there are still those who prefer renting with a number of housing options to choose from such as fully-furnished apartments, unfurnished houses, maisonettes and villas. However, understanding the consequences aligned with renting is deemed imperative for expats. They must be mindful about paying their utility bills and are also responsible for monitoring their water consumption to avoid issues related to the water-taxation system. Expatriates will find that the public transportation in Cyprus is very limited with only an option of either commuting by bus or riding a taxi. Because of this, foreign nationals are advised to have their vehicles instead when getting around the country. Buses in the country are monitored by independent operators which are why its best for expats to carefully check on the windshields to determine if the bus is for tourist visits or not. On the other hand, taxi sharing or also known as service taxis are also very common in the country. Taxis are regulated by law and can be found anywhere in Cyprus. It operates 24-hours in all major cities, but expats are still advised to make some reservation ahead to avoid delays. Cypriot cuisine is known to be closely related to Greek and Turkish cuisines. Cyprus cuisine is very fond of grilled meat called souvla which is because of the skewers where it is prepared. Aside from meat, halloumi cheese, pork, chicken and sheftalia are also other food that Cypriots prefer grilled. They are also fond of using herbs in their dishes such as mint, parsley, aurugula, celery and fresh coriander. Some of the must-try Cypriot dishes for expats to try are Kebabs, Meze, Souvaki and the traditional lamb dish, Kleftiko. The best way to alleviate an expat’s culture shock is to get themselves entertained. Good thing, Cyprus sure do know how to let their locals and visitors have fun. Experiencing the island in many ways, even others unimaginable, for those who love to take tours in amusement parks, they may visit the Kalavasos Council Park, Kykkos Monastery Grand Safari Tour and Sayious Adventure Park. While those who love to window shop can visit the Mall of Engomi. For expatriates who are looking for a place to throw their stress away, the Santa Marina Retreat and Fasouri Waterpark are the best picks.